Power of a Family: Alia's Room Tour! Merry Christmas week, everyone! Alia is home from school on a break, and so she is guest-posting for me. :) Hope you are all doing well. Hi everyone! This is Alia, April's daughter, and today I am going to share how I decorated my room on a budget (and mostly by myself). I have received a lot of questions about my room decorations, and I thought that I could answer most of them in a blog post. For the most part, I spent my own money on the things in my room (a few things were Christmas/birthday gifts). I got my own room when I was 12, and for two whole years, I had zero decorations. I didn't really care about them too much, and I rarely spent time in my room. Now that I am 14 (almost 15), I spend more time in my room for homework, craft projects, and other things that I'm working on. 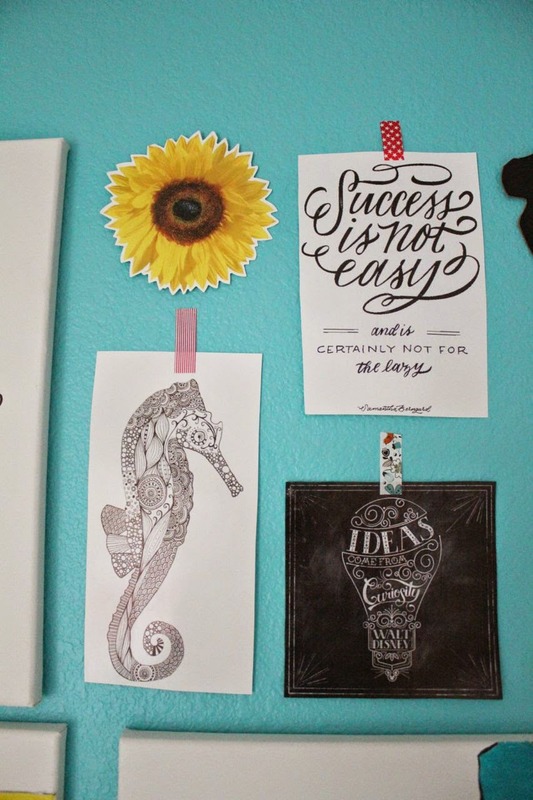 I really wanted my room to be a space that I loved, and that's just what it's become. The first step was painting. 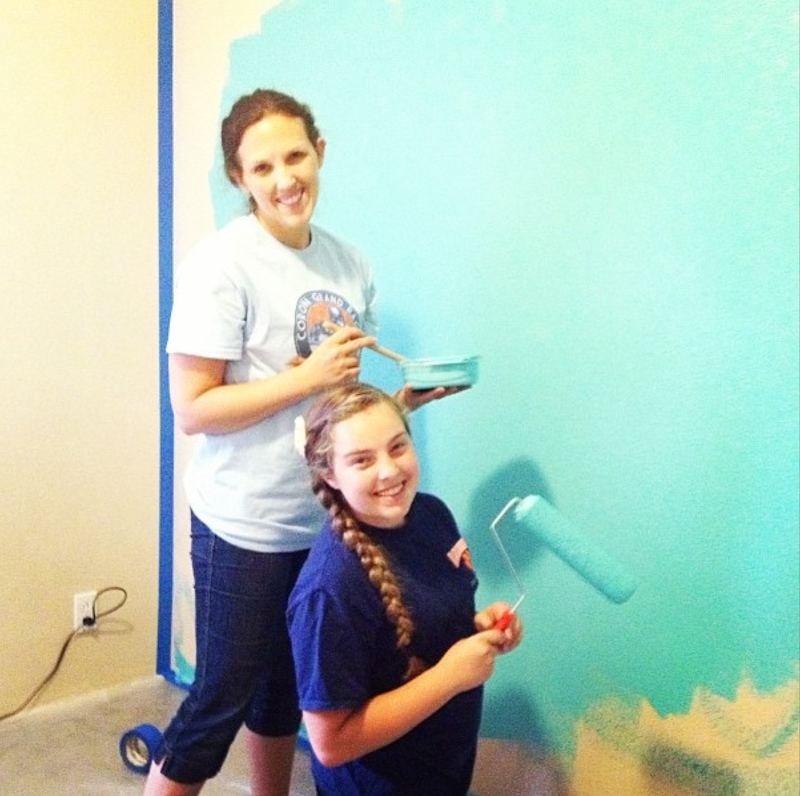 I didn't like all the work that went into painting the walls, so I only painted one wall a color. One wall is teal and all of the other walls are white. (I did need my parents' help with this). This is what you see when you first walk into my room. 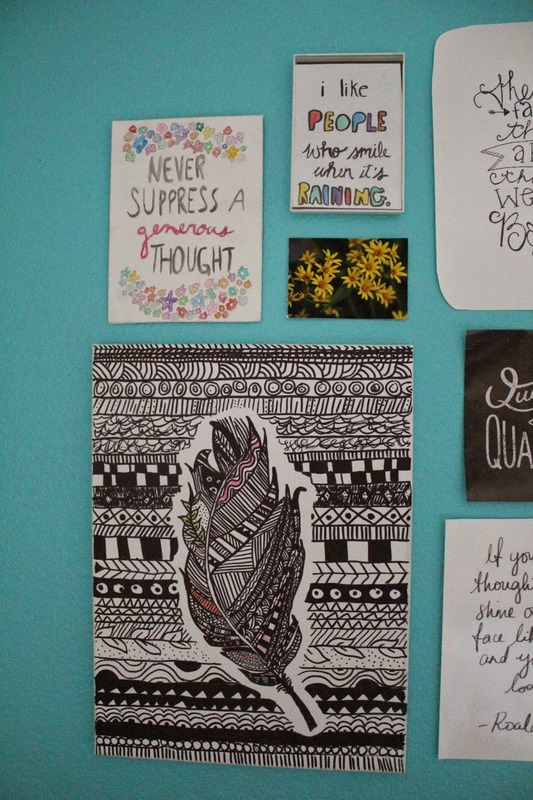 I love art and color, so my room is full of it. My comforter is from Target (HERE), and the matching pillow cases were sold separately (HERE). I really like these colors, and *bonus* it's reversible! 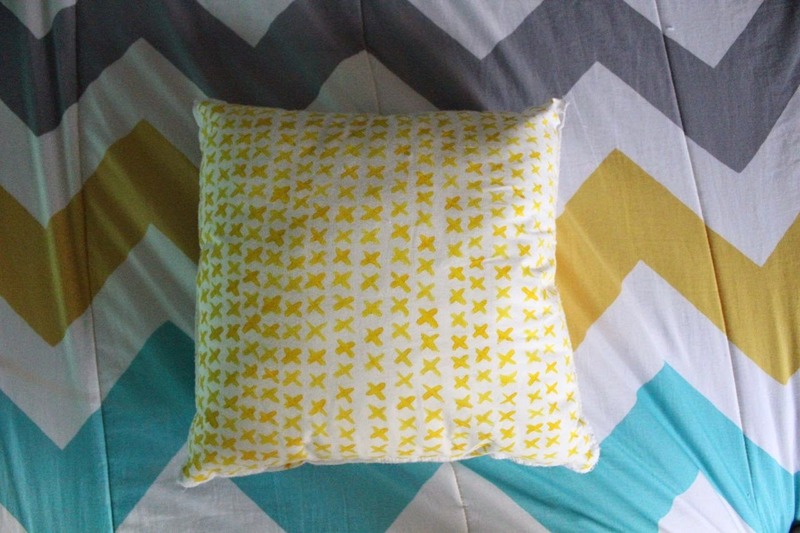 It can also be plain yellow, but for now, I like the pattern. My bed is really tall because of these risers. 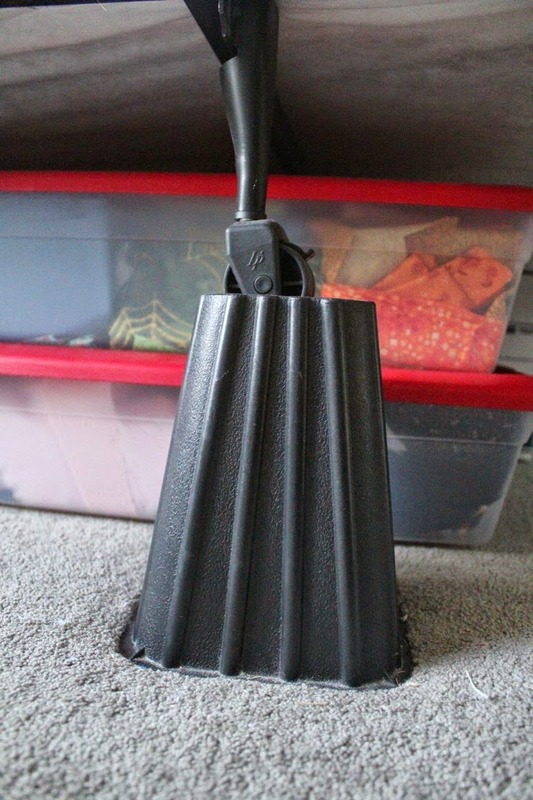 I don't have closet space for everything in my room, so it's kept under my bed. I probably have three rows of boxes plus 4 boxes of fabric. My bed frame was pretty cheap--it's a Universal Bed Frame (HERE), and it works for every size bed. We got the risers HERE. This is the back of one of my pillows. I made two of these out of some fabric and batting. I just made a rectangle, sewed it together, and added batting. It probably took an hour for two matching pillows. 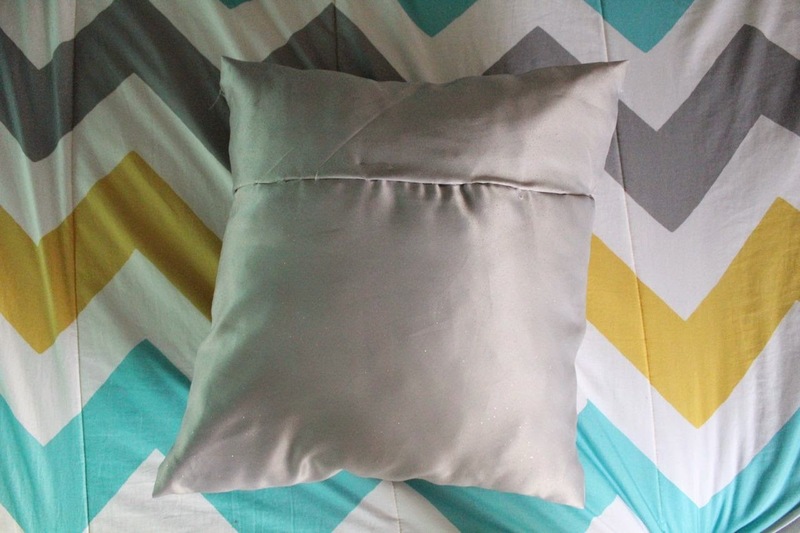 I love making these, because they are so simple and easy, and you can use any kind of fabric that you want. (Mine are made of a not-too-sparkly gray material). This is probably my favorite wall in my room. It started off with one tiny painting, and I've been adding to it for about a year. I got the canvases as a Christmas present, and I think they were on sale at Michaels. I got some of the picture frames from Walmart (2 for $2), and they had lots of different sizes. Also, I use painter's tape to hang all the papers up (so that my paint won't get damaged). One thing that you should probably know about me is that I'll see something on Instagram or Pinterest, and I'll be able to recreate it. Most of the things on my walls are things that I've seen somewhere else. I saw this painting HERE, and I really liked how it looked. 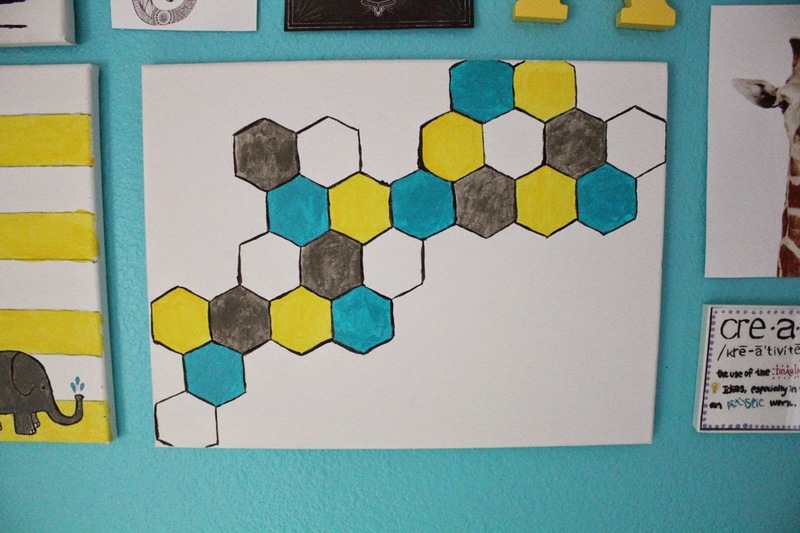 I printed out a hexagon, traced it, and painted it! Super simple and easy. My younger sister helped me with this painting. She found it on Pinterest and drew it on a canvas, and then I painted it. 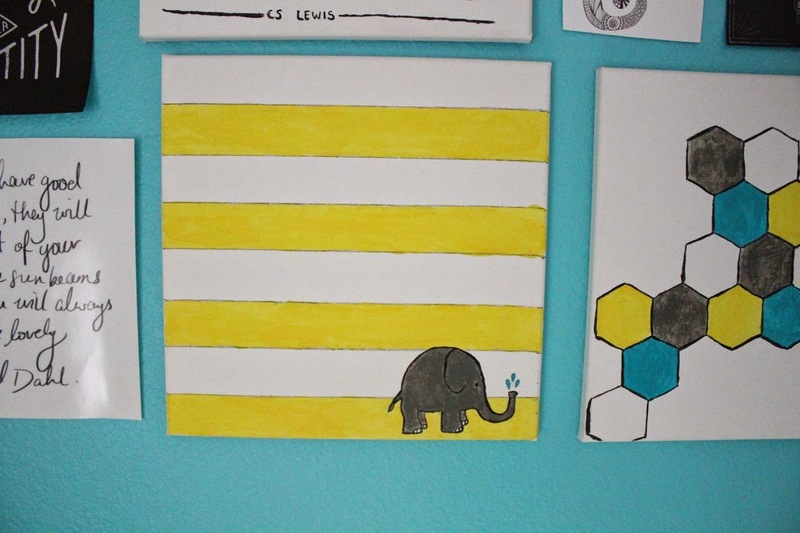 She made one for her room with different colors and with a different animal. This part of my wall has things from all over the place. The silhouette is one that I found online, traced onto cardboard, painted, and cut out. The hand is from a project in my art class. We just traced our hand on construction paper, and decorated it with henna designs. 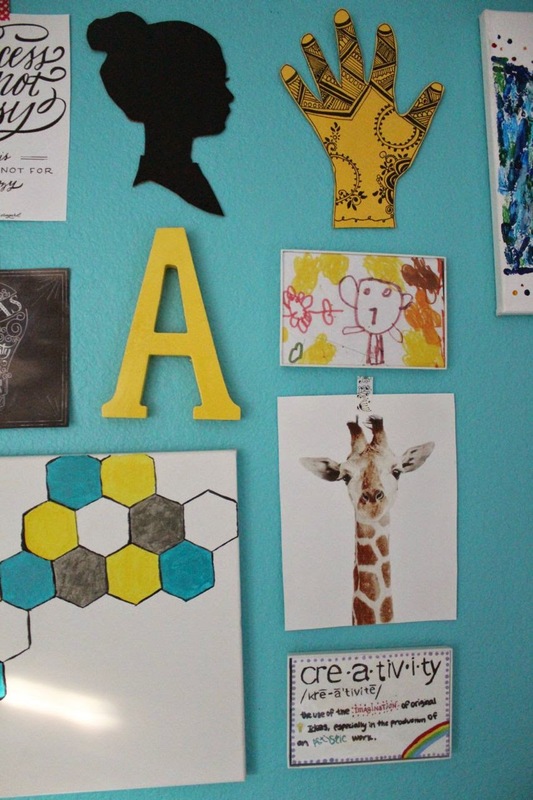 The 'A' is from Michaels, and it started out as a plain wooden letter, but I spray-painted it yellow. The drawing is from my friend Lia (You can read more about Lia HERE). Anyways, I really liked this drawing, so I put it in one of the inexpensive frames from Walmart. The giraffe was just an image that I found online (HERE). I've seen this painting all over the Internet, and I decided to make one for myself. I made it with melted crayons, so that's why it looks a little bit messy. I just went to the 'quotes' section on Pinterest, and I found all of these things. I printed them out, and the washi tape at the top is just for decoration (the tape is super weak, and it can't hold anything up). More quotes from Pinterest, and I painted a C.S. Lewis quote onto a canvas. 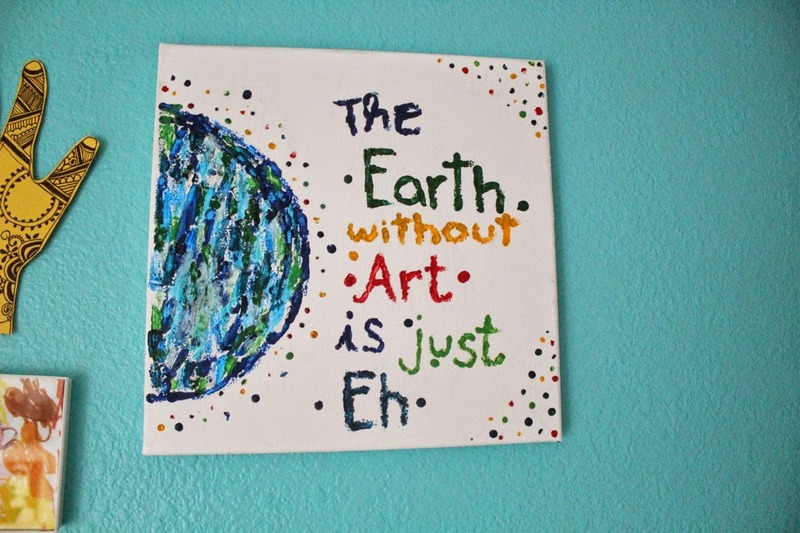 (That was actually my very first painting that went up on my wall). I used watercolors for the two paintings at the top (my favorite water colors ever HERE). I used permanent marker on canvas for the feather. I just looked at a picture online, and I made my own version of it. It took about an hour, but I think it was worth it! And now for the things above my bed. I used yarn and felt to make the triangles that are hanging above my bed (I also have a matching one above my door). I just cut a bunch of triangles out, and hot glued them to yarn. It was super easy. I made a different one for my grandparents, but it was made of Christmas colored hexagons. 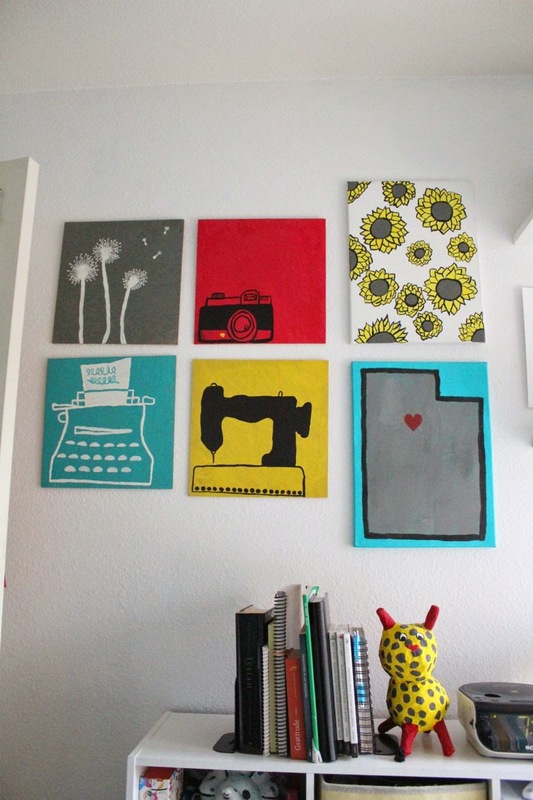 I used 5 square canvases for the paintings above my bed. (More on them below). 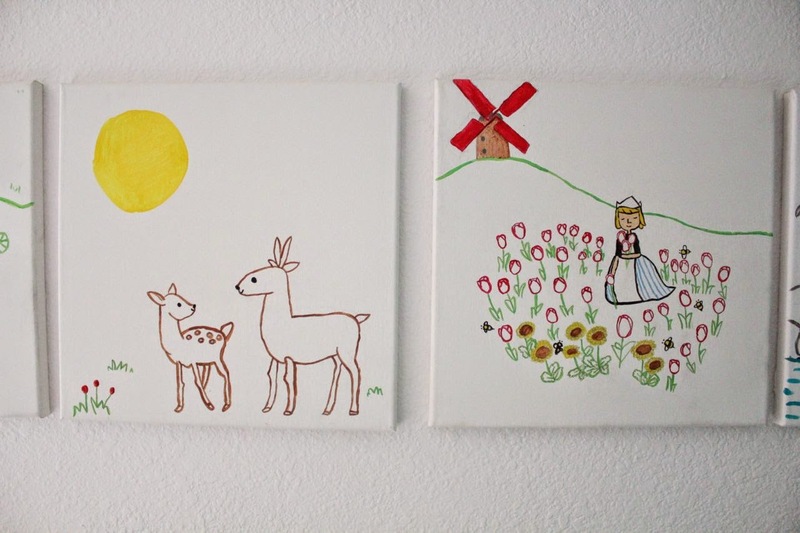 Here are a couple of the paintings. I sketched them in pencil, and then I painted them. (More info about the drawings below). 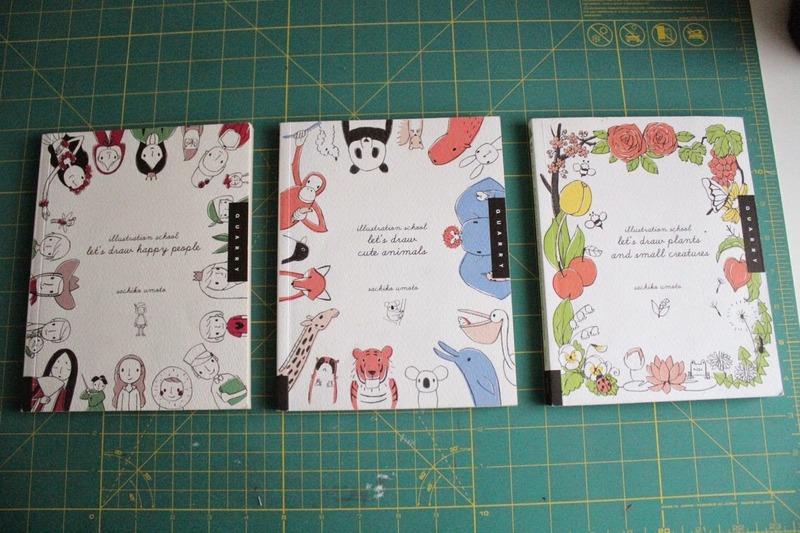 I used these three drawing books for the paintings (above), and in a different part of my room (getting to that in a minute :) These books make drawing SO simple, especially for kids. I got these as a Christmas present a year ago. 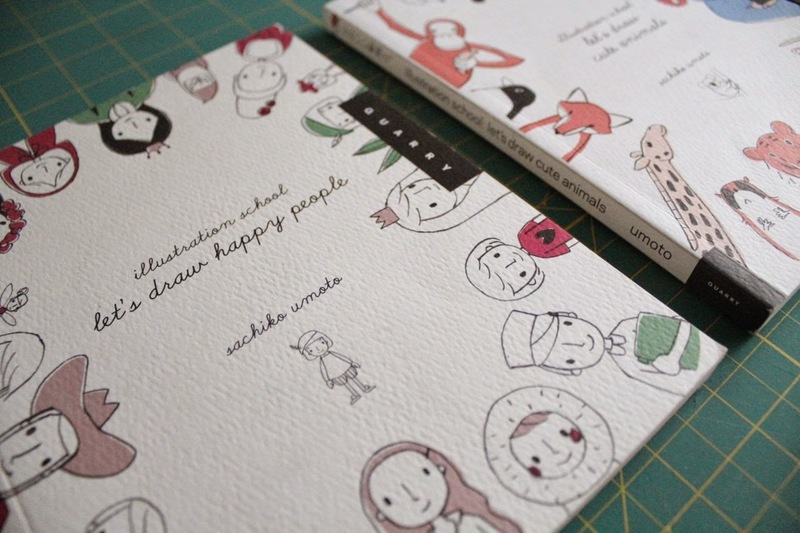 The author is Sachiko Umoto, and these are the books I like best. I seriously recommend getting these for your children. I've never found a set of art books that I liked this much! This is the other side of my room. :) I'll explain more below. 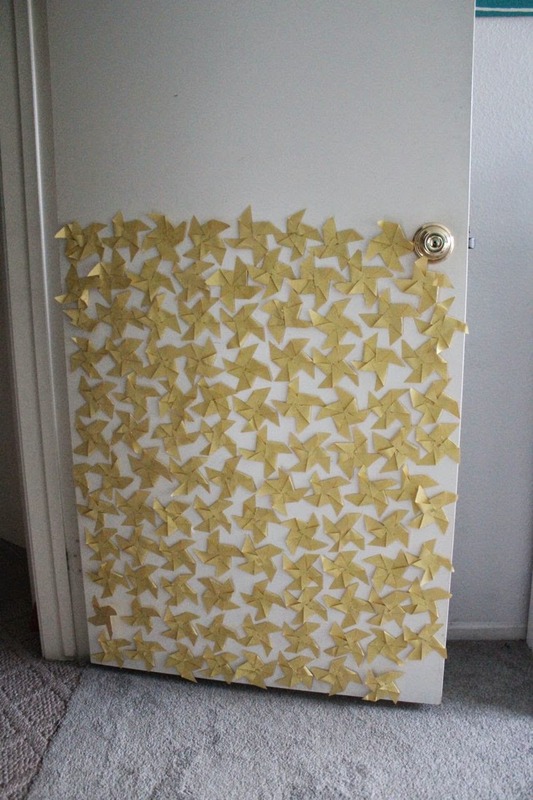 I made paper 'pinwheels' for my door, and they are so easy. You take a square paper, and make 4 cuts from each corner to the middle, but you don't cut it apart. You fold every other point (there will be 8) into the middle, and then you can glue and tape them together however you like. These are my little cubbies, and they hold everything. 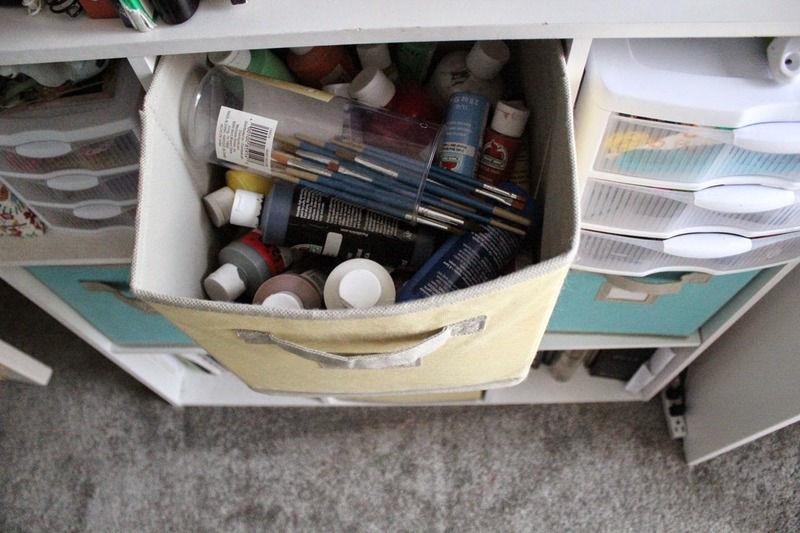 For example, I keep paint, scrapbook supplies, clay, stamps, ink pads, school supplies, and curling irons/hair stuff in all of the buckets. I got the cubbies from Home Depot (HERE). I put the cubbies together myself, and the instruction were pretty easy. This is one of the things that I spent my own money on. It was on sale, so I got a great deal. The yellow and teal boxes were extra, and I also spent my money on those. (HERE). This is just an example of what is in one of my drawers. 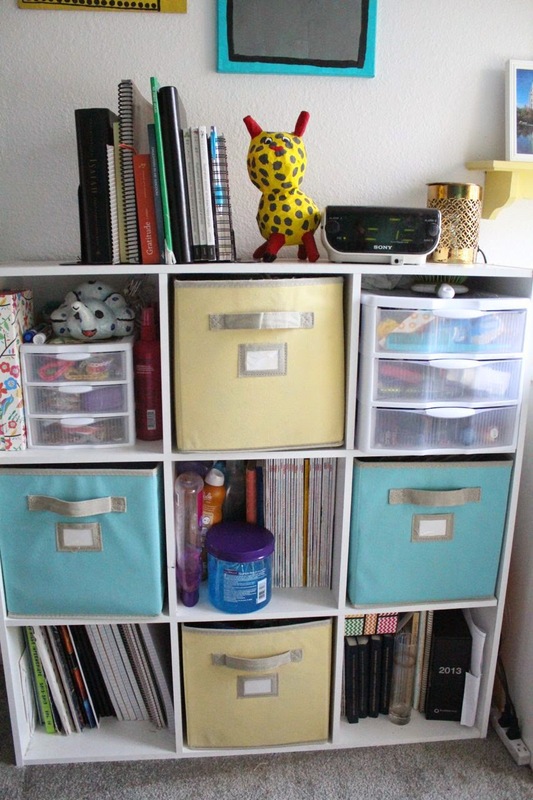 I like having my things stored in these because I don't need to have these perfectly organized and out in the open. Here's what's on top of my cubbies. 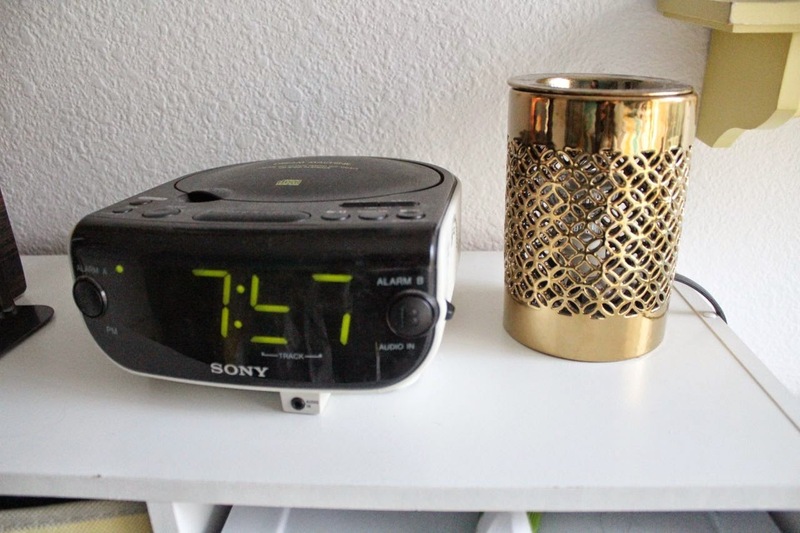 I got this clock for Christmas when I was 10 or 11, and I really love it, but it was discontinued. You can find it on Amazon, but they are selling it for $200+ and I got mine for $40. One of the best purchases I have ever made is this candle warmer. I love candles and all of the different scents, but it's so dangerous to have candles in our rooms. I got this one at Target, and I love it. (More about it below). 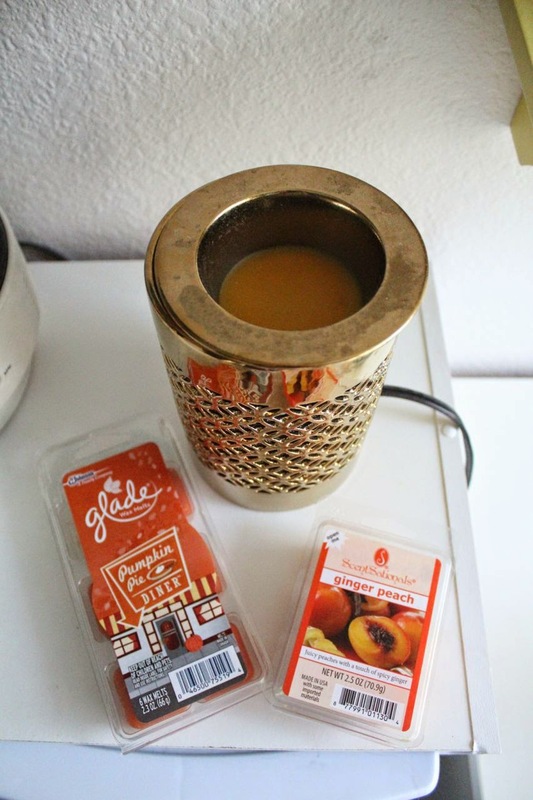 This is the candle warmer, and these are a few of the scents that I have. Walmart has them for $2-3, and Target has them for $3-4, but you can find them on sale most times. 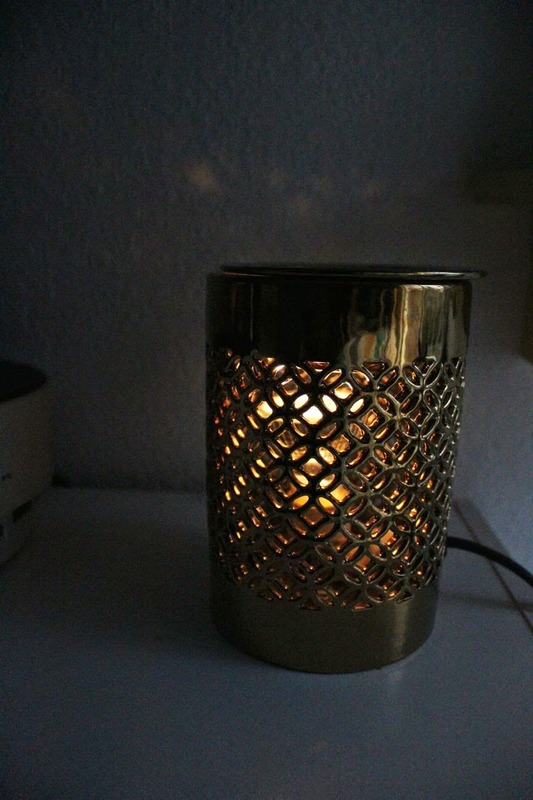 I bought the candle warmer for $10 on sale, and this one is similar, but it's a bit more expensive (HERE). This is what's on top of my cubbies. 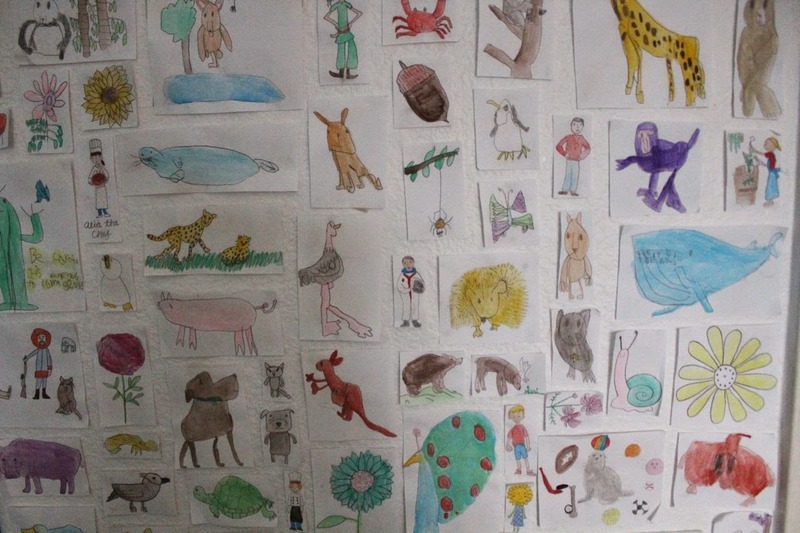 I have an art project giraffe/bug, a bunch of books and journals, and paintings! 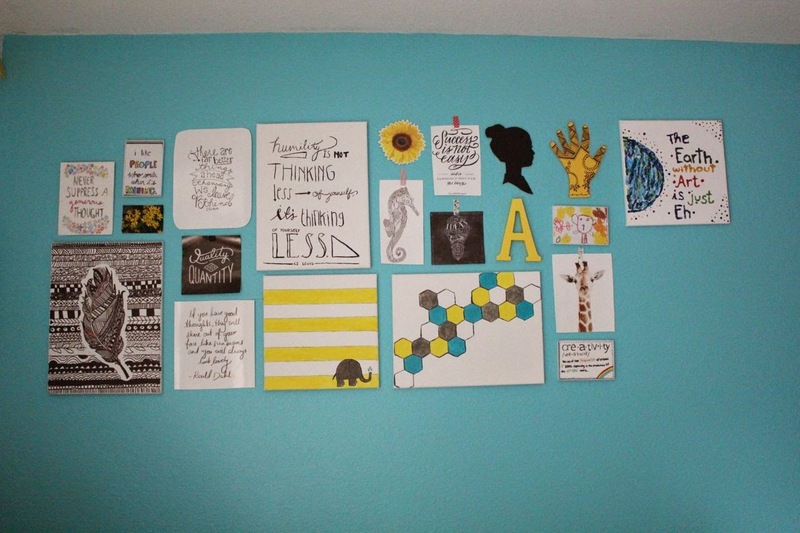 I found these on Pinterest, and I love having them in my room. The four square paintings are made of some really thin wood that I found at Home Depot, and I attached little hanging brackets to the back of them. Right next to my cubbies, I have a desk/work area. 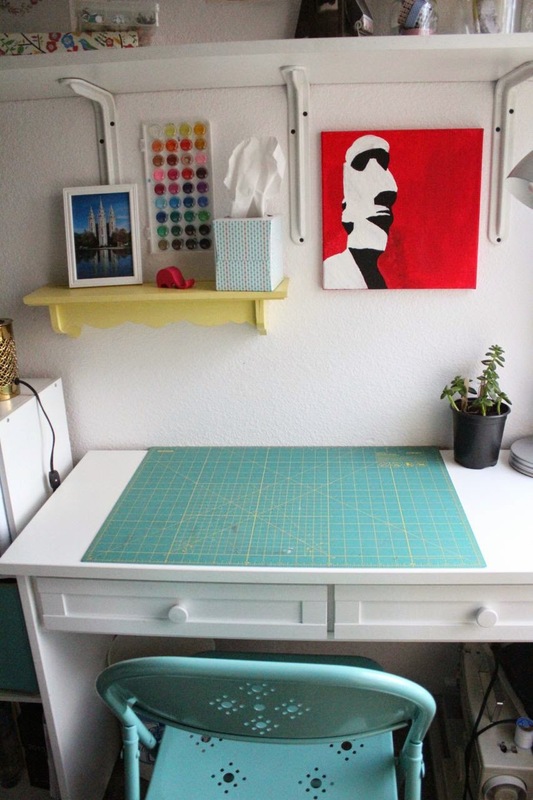 I'm using this space all the time, so it's super important for me to keep my desk clean. The shelves are just pieces of white wood and shelf supports/brackets from Home Depot. 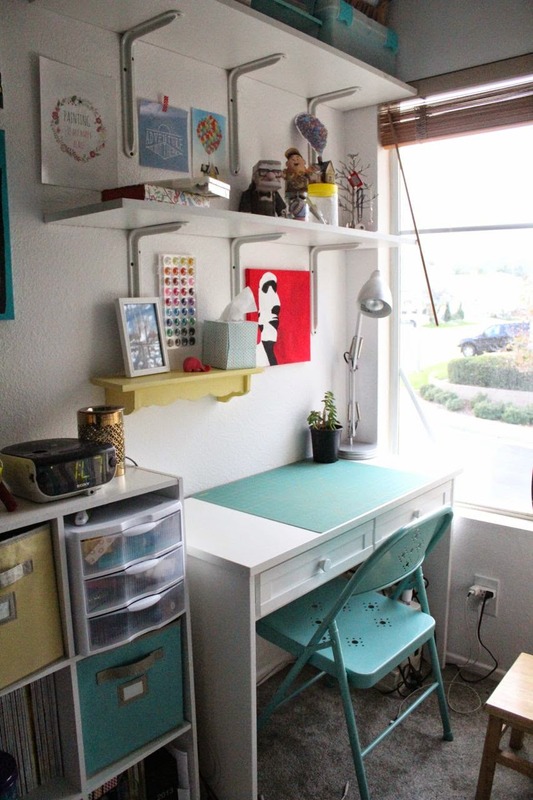 The desk is from Target, but I can't find the exact link. I helped pay for half of the desk, since it was kind of expensive (not more than $100 though.) My parents helped to put the desk together because it was kind of complicated. I got this teal chair from Target too, and it was about $20. I have a little plant too (it's one of the plants that doesn't die easily). I'm kind of obsessed with Easter Island (I'm going there one day! ), and I have a little painting of one of the statues. I also have my cutting mat handy (from the craft store), because I'm always using it! This is the wall I was talking about earlier, the one that I used the art books for. 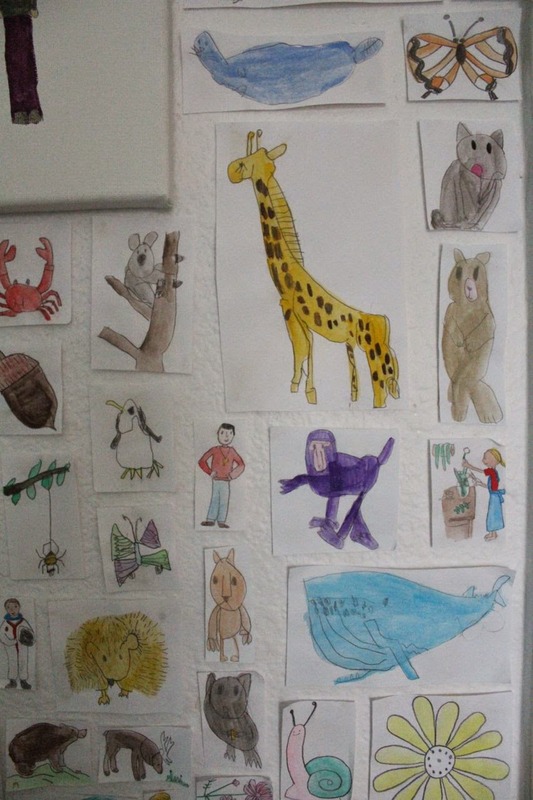 My three younger siblings helped to draw a ton of animals, plants, and people, and I used them on my wall. I used my water colors to fill them in, and I love all the colors! I totally skipped over my shelves...I'll talk about them now! I have lots of little print-outs. 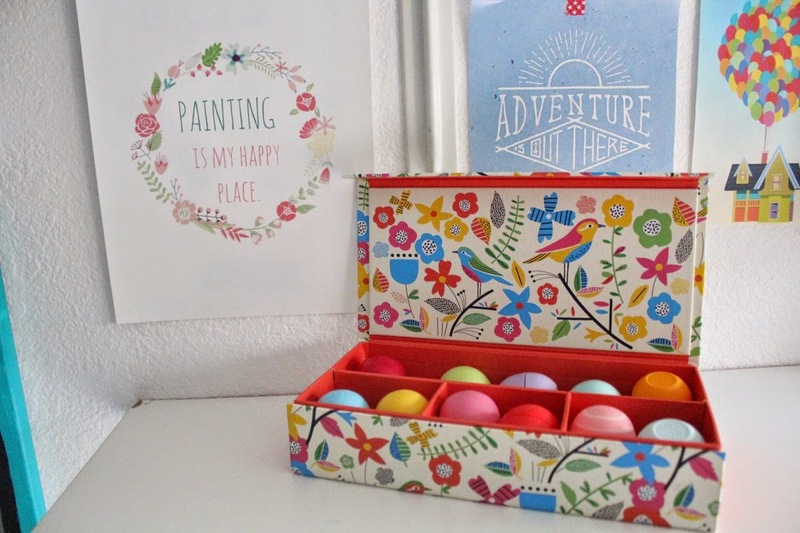 One of my favorites says 'Painting is my happy place' and you can print your own out HERE! :) I also have this little colorful container to hold my chapsticks (container from Target..Only a couple of dollars). 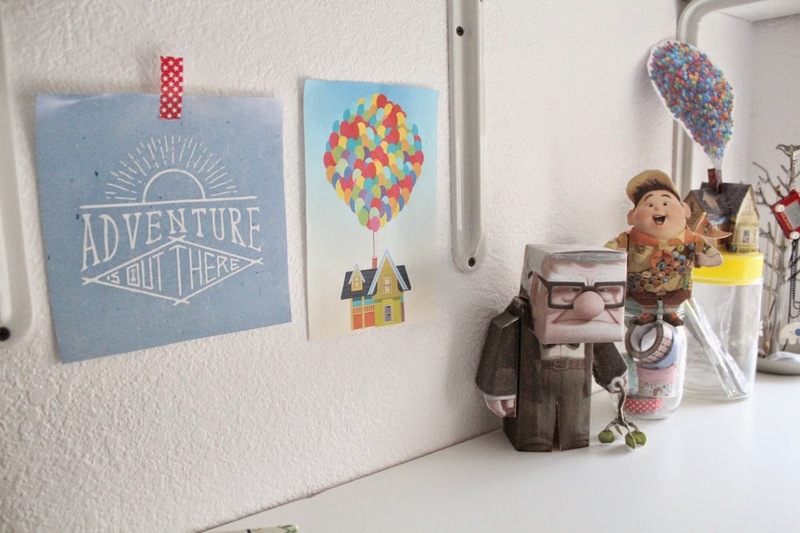 Then I have an 'Up' section of the shelf. 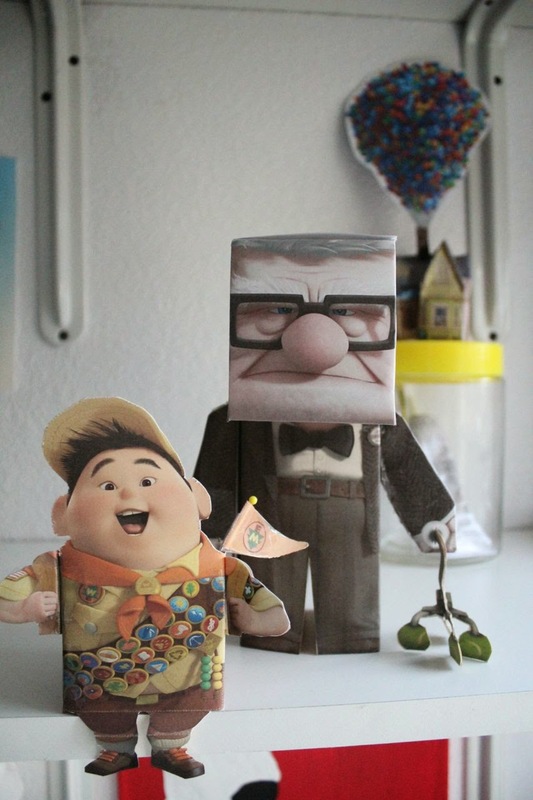 It is my favorite movie, so I printed out a few pictures, and I made printable 3D characters! (More info below). The final thing on my shelf is a small jewelry hanger. 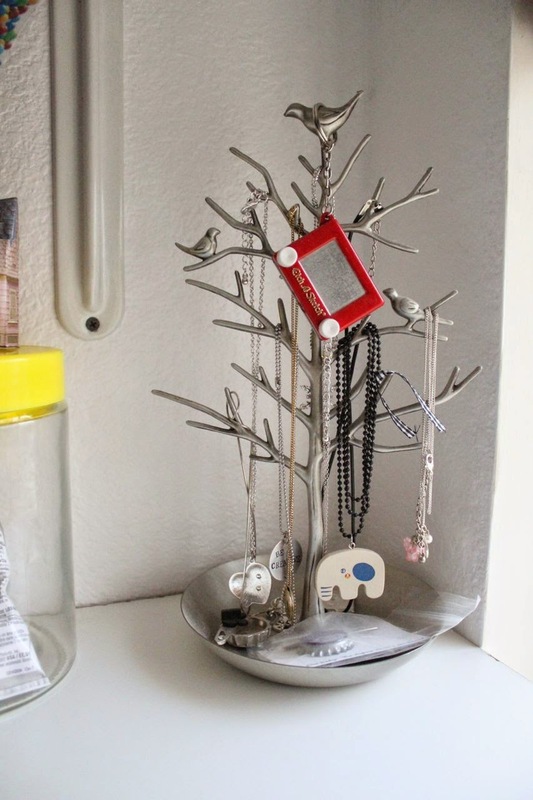 It keeps my necklaces so organized, and it's a cute little tree! Similar one HERE. 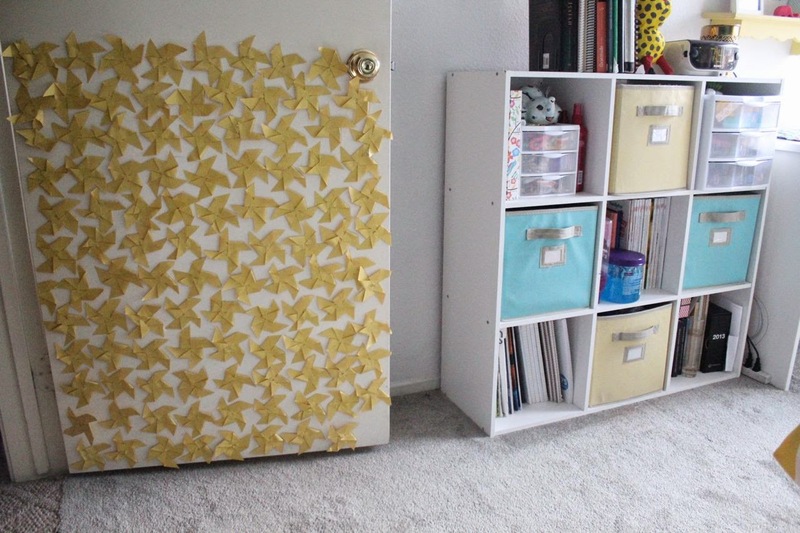 I think that adding little personal touches like the 3D printables or art projects not only save you money (most are handmade or very low cost), they help your room to look creative and cute! Well, if you've made it all the way through, thanks for reading! I have loved adding to my room over the past couple of years, and for the most part, I was responsible for paying for the things that I wanted in my room. All the hard work was worth it, and I learned so many skills along the way! (From putting cubbies together to learning how to paint new things). I love your room! You did a great job. I love the colors and what you did with the space! 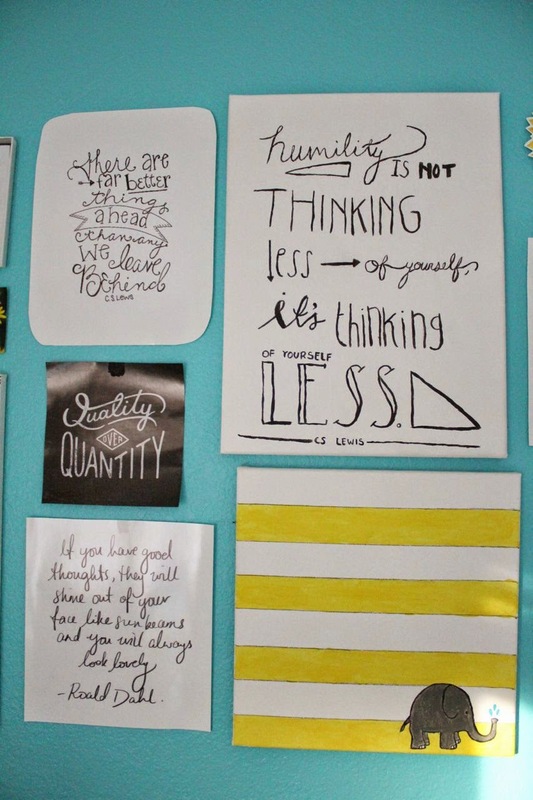 Super- creative room, Alia! I'm going to definitely share your ideas with my two daughters! Hi this is Abby! I just read through your tour of your room and I love it! I am so exited to start decorating my room! I hope I get some materials for it for Christmas! Thank you sooooo much! What great ideas to make such a cute room. I love all of your art! You gave me some ideas for my kids room . . . So awesome for you to make your space so inviting and "you," Alia! I love all of your artwork! Way to go!!! Great job!! 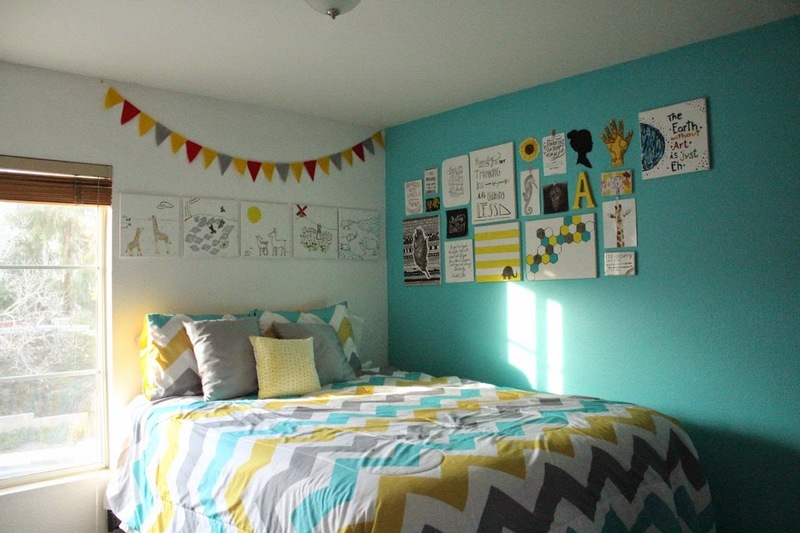 Beautiful, pinterest-worthy room!! Thank you for sharing your inspiration! You are so creative! I was just like you growing up and I couldn't wait to get married and have a whole house to decorate! We just read Alia's story in the Friend. My daughter, Camilla, was so excited that I "knew" you, and that it's a true story. I didn't realize it the first time we read it, but she I saw your name I read it again and I felt like I could have been reading your blog. Of course that is an experience your family would have. We love that story, thanks for sharing! 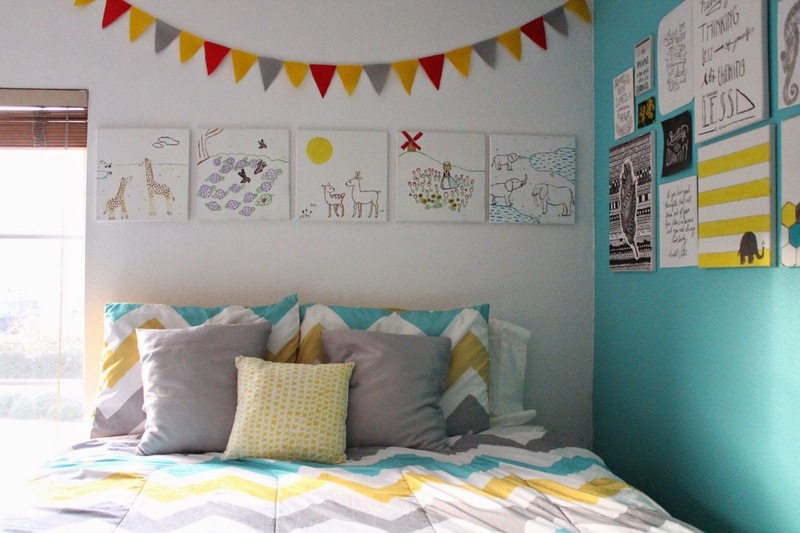 Alia, your room is absolutely darling! And Pinterest perfect! 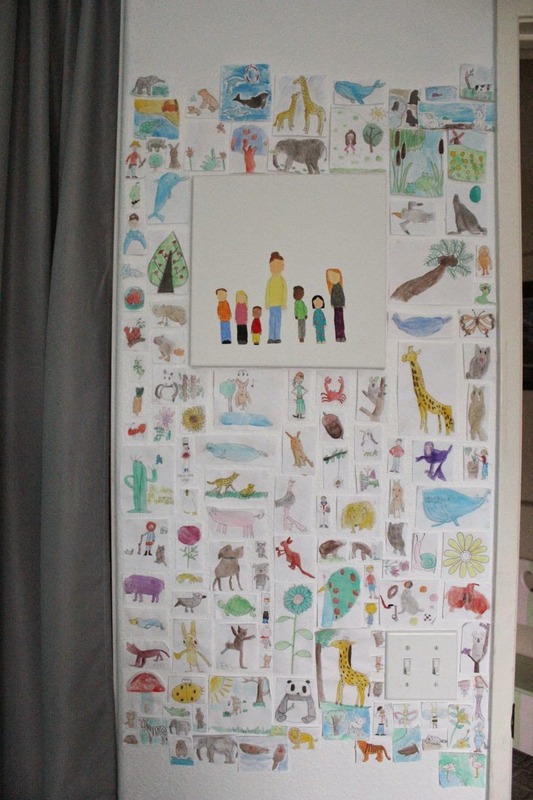 :) I love that you designed the room and created most of the art yourself. You are one creative girl!! Alia, it's darling!! Great job!